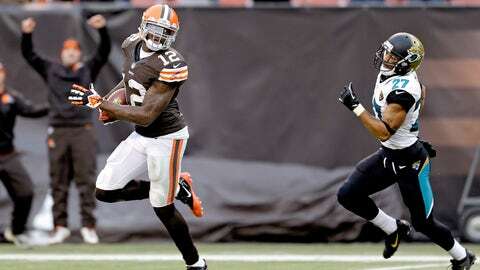 Josh Gordon turned on the jets against the Jaguars. Sure, the whole "three yards and a cloud of dust" approach to football warms the heart and is definitely an honorable way to play the game. However, we know what puts butts in the seats. But let’s not end the fun just yet. Although this wasn’t a pass or a run, Chiefs returner Knile Davis gets an honorable mention for his 108-yard kickoff return for a touchdown. By the way, that is tied for second-longest in NFL history.